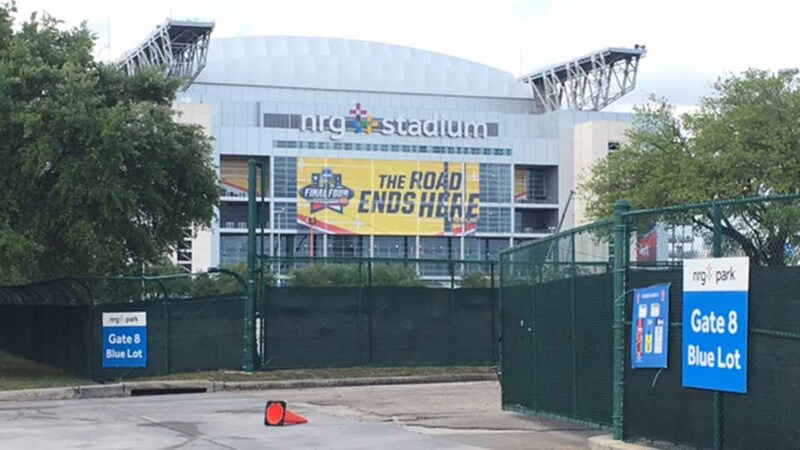 Security preparations underway at NRG Stadium for the NCAA Final Four. HOUSTON (KTRK) -- As preparations are underway for the NCAA Final Four Championship in Houston, law enforcement is taking steps to ensure the safety of those who will attend. Authorities say there is no specific, credible threat of any terror plot anywhere in this U.S., let alone Houston. Bomb-sniffing dogs will be deployed to NRG stadium to secure it before the tournament. METRO police officer John Zepeda and his partner "Alex" worked the METRO rail lines Tuesday. Zepeda admits his level of alert is heightened just because of the terror attacks in Brussels. "It's always good to step it up a little bit. I don't want anything to happen here on my watch," said Zepeda. He says the dog is better at detecting explosives than any metal detector. "My daughter always tells me 'dad when are you gonna find something' and I always tell her, hopefully never," he said. More than 100,000 fans are expected to visit NRG Stadium beginning April 2. An NCAA spokesperson told abc13 that, "safety and security of our players, teams and fans is a top priority." With another Superbowl coming to Houston in less than a year now, the focus among those preparing for the crowds is on minimizing any security vulnerabilities. "This is a city that hosts a lot of big events. We always have big events in this city," said Houston Mayor Sylvester Turner. Without going into detail that might jeopardize security, Turner insists the city will be prepared for the crowds and any threat that might arise. "We have to always be mindful that there is some entity or element out there that may be trying to do something to hurt a Houstonian or someone in this country," he said. For those taking public transportation, METRO asks that you spread the word about their new app, "MPD connect", unveiled earlier this year. It's an easy way to report suspicious activity without having to make a phone call and draw the attention of someone who might want to do you harm.